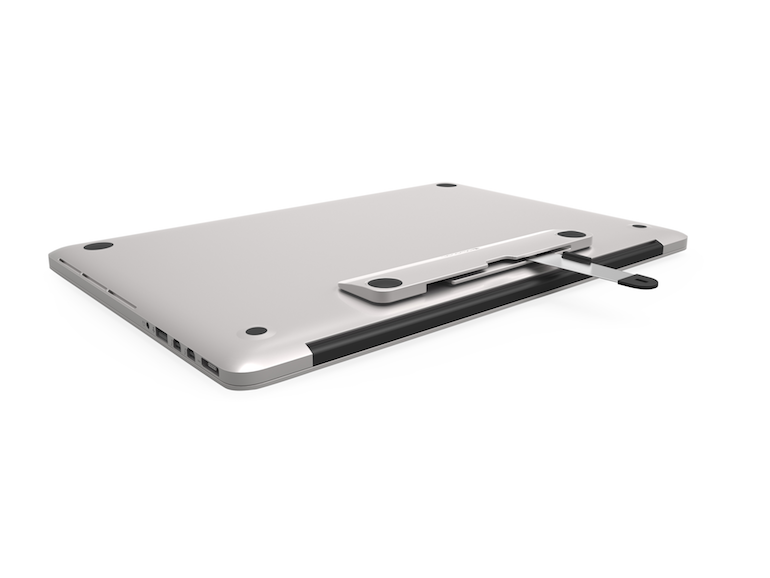 Tabframes view : Maclocks / Compulocks have put together a very useful universal solution to secure tablets and laptops that do not have a built in security slot. 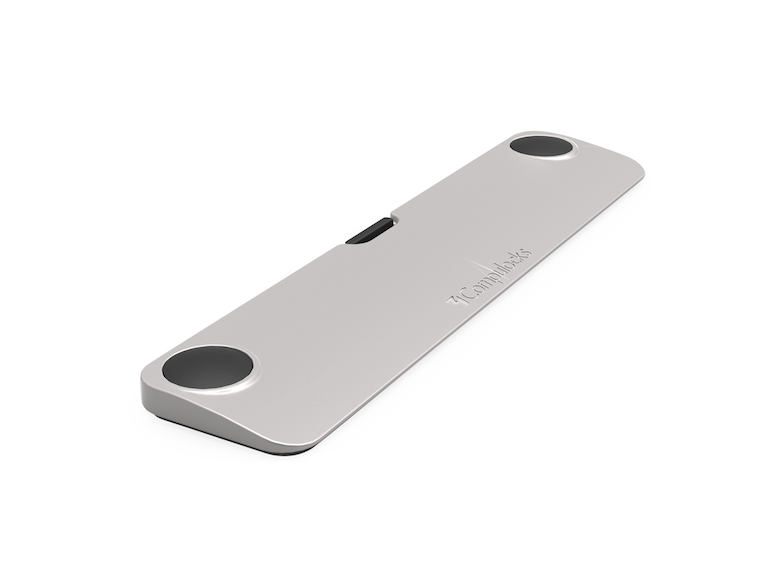 – The blade adaptor will raise the tablet / laptop when placed on a flat surface creating a nice gradient for the keyboard and use. Also improves ventilation / heating . – On a tablet, the blade creates an improved grip when carrying the tablet. 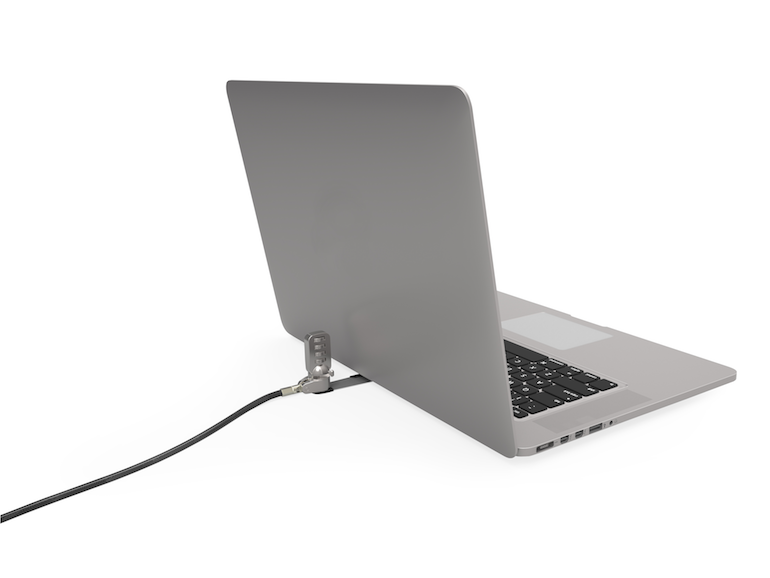 – Security is achieved by using a standard T-bar cable that fixes into a retractable arm that comes out of the blade, you then would loop the security cable around a desk leg or suitable anchor point. – Please note that the Blade is a semi permanent solution and is far from easy to remove. If you need any more information on the Maclocks / Compulocks The BLADE Universal Security for Tablets Laptops BLD01CL please get in touch.